Each with fifteen years of practice experience in South Mississippi, Dr. Gregory W. Horn, Dr. Joseph P. Vice, and Dr. William F. Moore are all board-certified medical doctors who are compassionate and caring of each and every patient. Along with a staff of professional, compassionate, reliable, and committed healthcare professionals, Mississippi Coast OB/GYN is committed to providing our patients with nothing less than excellence in healthcare for all women. We strive to provide our patients with unsurpassed healthcare and to keep them abreast of advanced medical technologies to optimize their healthcare. Gregory W. Horn, M.D., earned his baccalaureate and masters degrees from LSU Baton Rouge and his medical degree from Louisiana State University-Shreveport. After completing his residency at LSU Medical Center, he opened a private practice on the Gulf Coast in 1997. Having served as Chief of Staff at Ocean Springs Hospital, he currently serves as Chief of OB/GYN at Ocean Springs Hospital and also maintains membership on many committees. 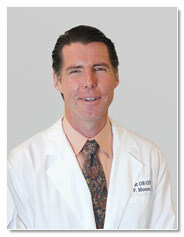 Dr. Horn and his wife are proud parents of eight children, are active in school functions & sports. They currently reside in Ocean Springs. With an undergraduate degree from Mississippi State University and a medical degree from the University of Mississippi, Dr. Vice completed his residency at LSU Medical Center. 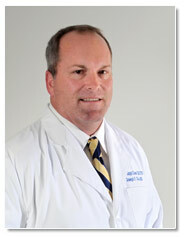 Dr. Vice practiced while on naval duty in South Carolina and relocated his practice to the Gulf Coast in 2001. He recently served as Chief of Staff at Singing River Hospital Systems and also serves on many committees. Dr. Vice and his wife are busy with their triplets, while they enjoy their community activities in Ocean Springs. William F. Moore, M.D. recently retired as a Flight Commander in The Department of Obstetrics and Gynecology of the United States Air Force. He and his family have been residents of Ocean Springs for almost fifteen years. He is also a diplomate with the American Board of Pathology. He earned his Bachelor of Science and his medical degrees from Tulane University in Louisiana. 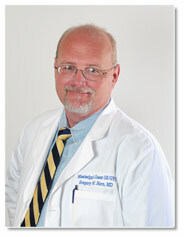 Dr. Moore has earned Volunteer of the Year award from Ocean Springs Chamber of Commerce for his exceptional work. He is active with his four children in their schools and sports, and he and his wife will continue work in Ocean Springs.